The Pipeline! ELS Anniversary, Events, Summer HR Law Tips!!! Have you seen our newsletter? 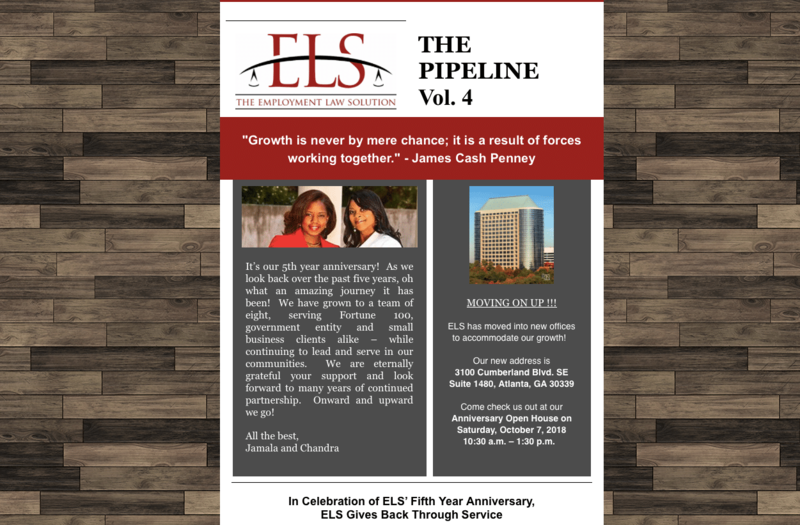 Click the picture to check out all of the great things that ELS has coming up in The Pipeline!